Gender Pay Gap in US Won’t End Until 2070 - 24/7 Wall St.
Studies have shown that women in the United States make about 80% of what men do to perform exactly the same job. A new survey forecasts that will not change completely until 2070. The difference between male and female pay is closing, but clearly not very quickly. 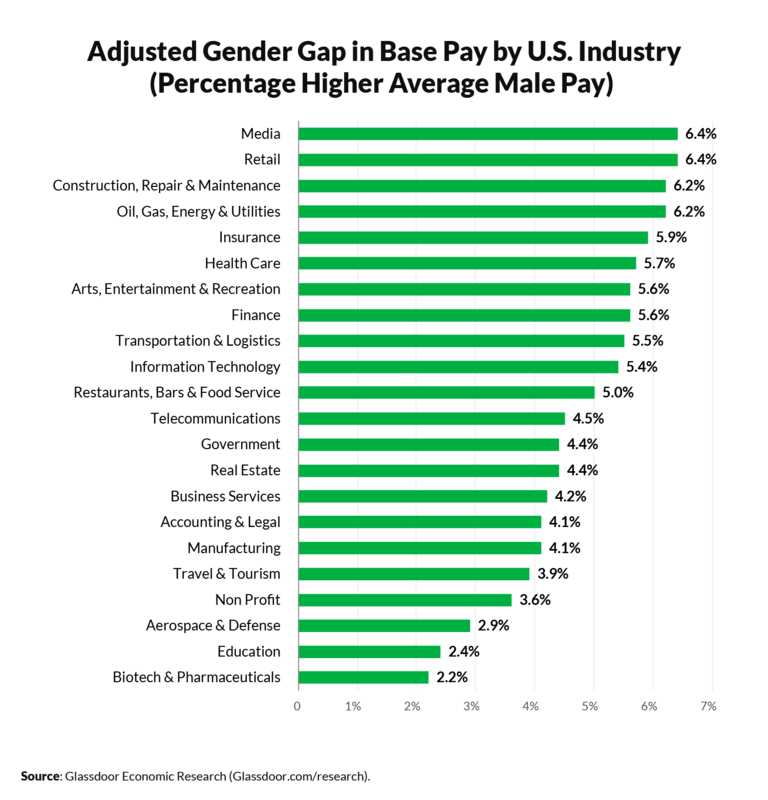 Employee review firm Glassdoor has released its Progress on the Gender Pay Gap: 2019 report, from a survey conducted by its Glassdoor Economic Research. 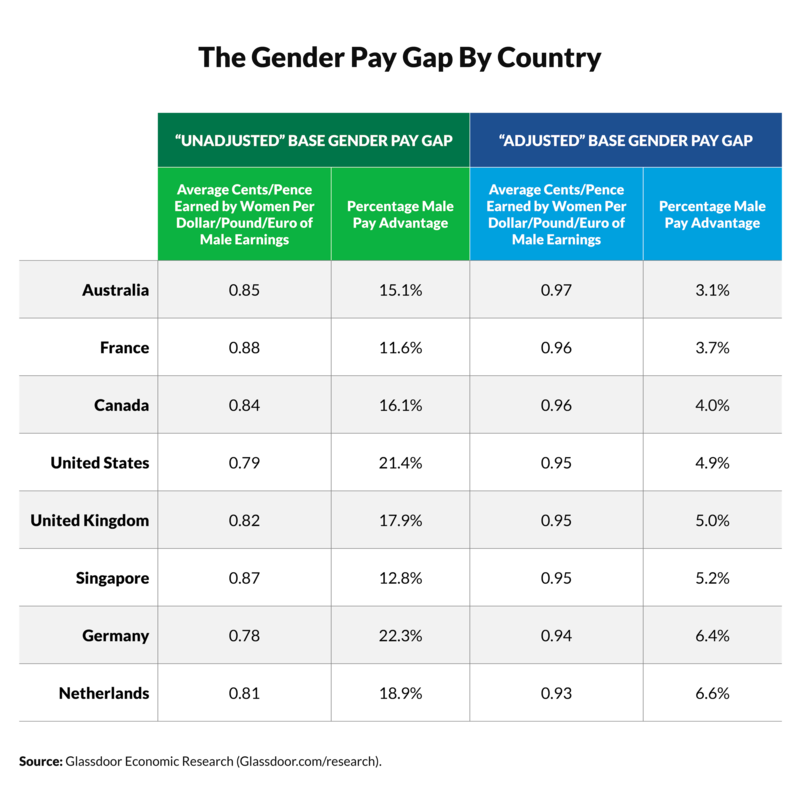 It includes results on gender pay differences for Australia, Canada, France, Germany, the Netherlands, Singapore, the United Kingdom and the United States. The gender pay gap in the United States is $0.79 for women compared to a dollar for men. It was the smallest in France at $0.88 per dollar, and the largest at $0.78 in Germany. The comparison between men and women varies significantly by job. Glassdoor looked at 15 professions. The gap was largest among pilots, where men make 26.6% more than women, and among chefs, where men make 24.6% more. These numbers vary geographically as well, based on an analysis of the worst-paying states for women. Industries where men make more than women include media, where the difference is 6.4%, and retail, where they have the same advantage. 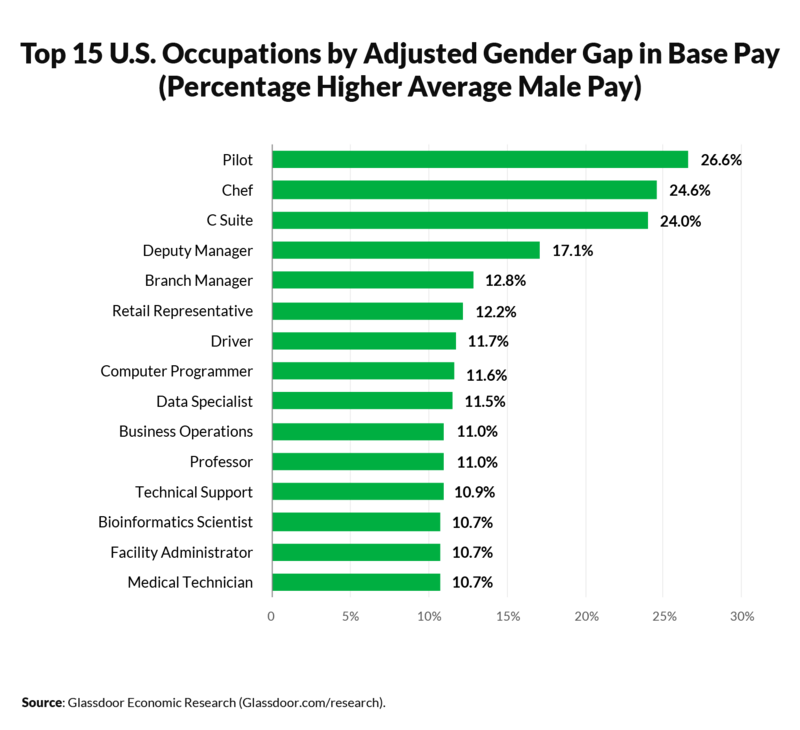 Another analysis was recently made in a study of the 25 highest paying jobs for women. Not all the differences in pay can be explained. Glassdoor puts factors into two categories, which are those that can be explained and those that cannot. Those that can be explained, such as age and education, make up 64% of the difference. Those that cannot be are 34%. Across most of the data, most women, both by country and by career, are making progress, but 2070 is a very long time away. « Powerball Lottery Hits $750 Million: 12 Things Not to Do If You Win!